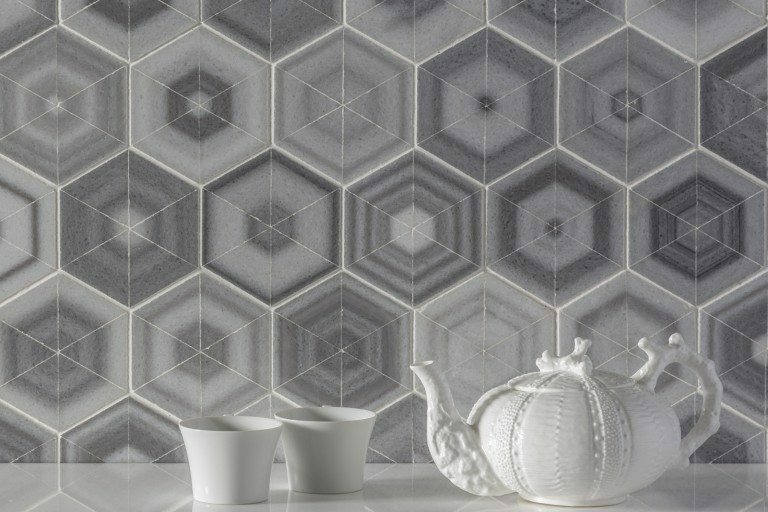 While hexagons are one of the oldest shapes in nature, they are experiencing a renaissance in décor due to a trend towards more transitional and modern designs that play with pattern, scale and texture. The hexagon’s organic occurrence in objects such as beehives, snowflakes and rock formations make them inherently familiar and comforting, and therefore, perfect for use in interiors. Right now, in the design world, hexagons are being thrust into the spotlight. 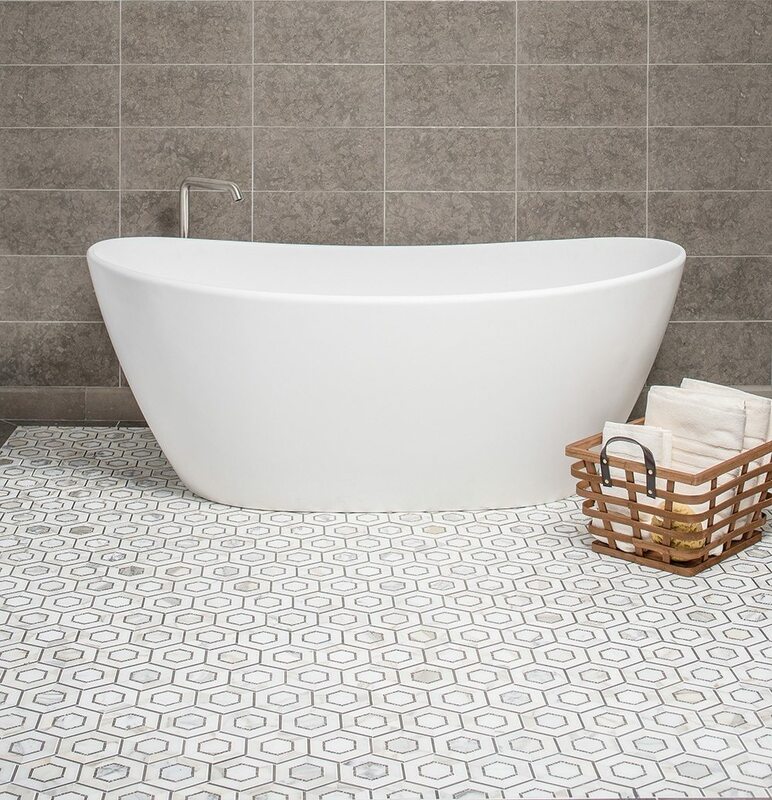 While the shape had been most commonly used as a floor covering in the past, it’s recently become a popular choice for wall tiles as well. The shape has the ability to create statements ranging from delicate to bold, meaning it is a frequent choice for designers. 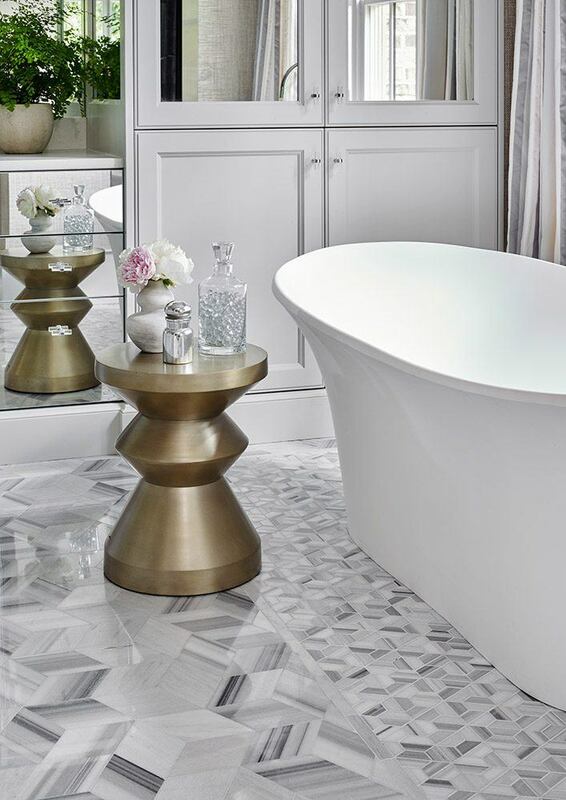 Drew and Jonathan Scott of HGTV’s hit show Property Brothers used the shape to create a contemporary, yet timeless shower wall feature in an episode of Brothers Take New Orleans. 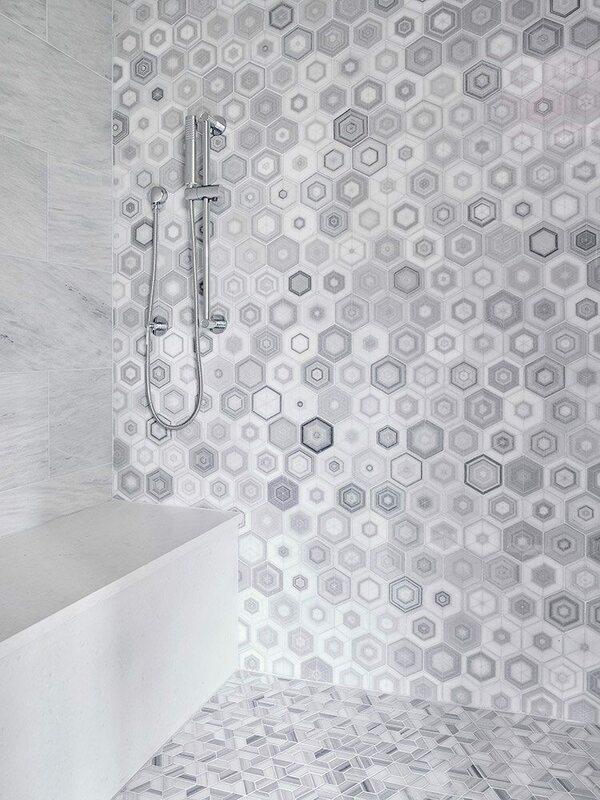 The patterned hexagon tile provided just the right amount of style to this otherwise minimalistic décor, and instantly creates a distinctive focal point. The hexagon is seemingly becoming a classic, and yet it feels more on-trend than traditional. Interior designer Iris Michaels, of Karen Berkemeyer Home, used the shape in the kitchen backsplash seen above. 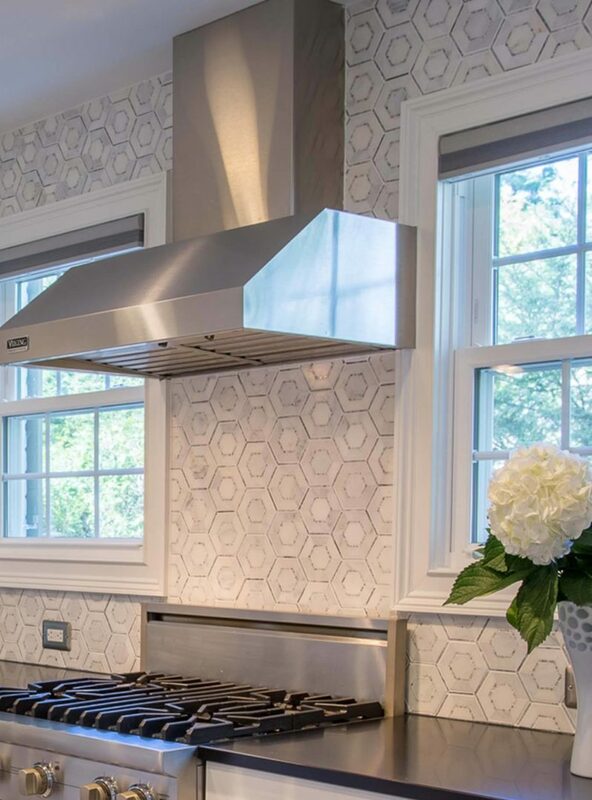 When asked why she chose it, she explained, “I love how hexagon’s clean lines tend to bring together every aspect of a design. In this kitchen, for example, it transforms the backsplash into a focal point, in a similar way that wallpaper would, but with a much more current appeal.” There really is no question that the uniformity of the shape infuses classic materials with a dash of modernity, resulting in a fresh update. 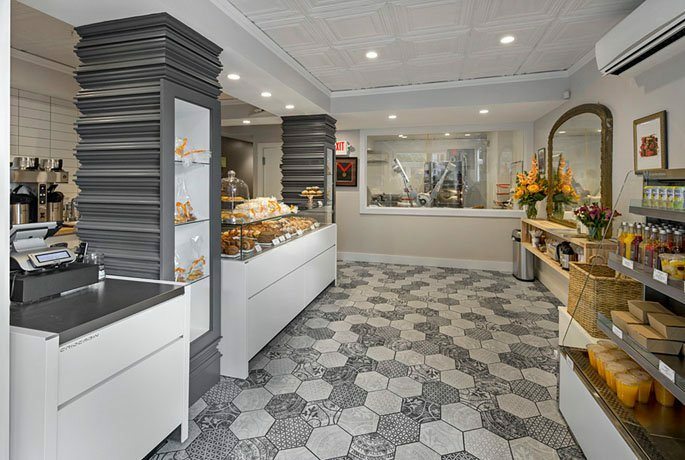 Moreover, the shape is becoming increasingly easier to incorporate into various spaces and designs, thanks to the extensive variety of tile finishes and sizes available to today’s design set. Here at AKDO, we are not unfamiliar with the trend. 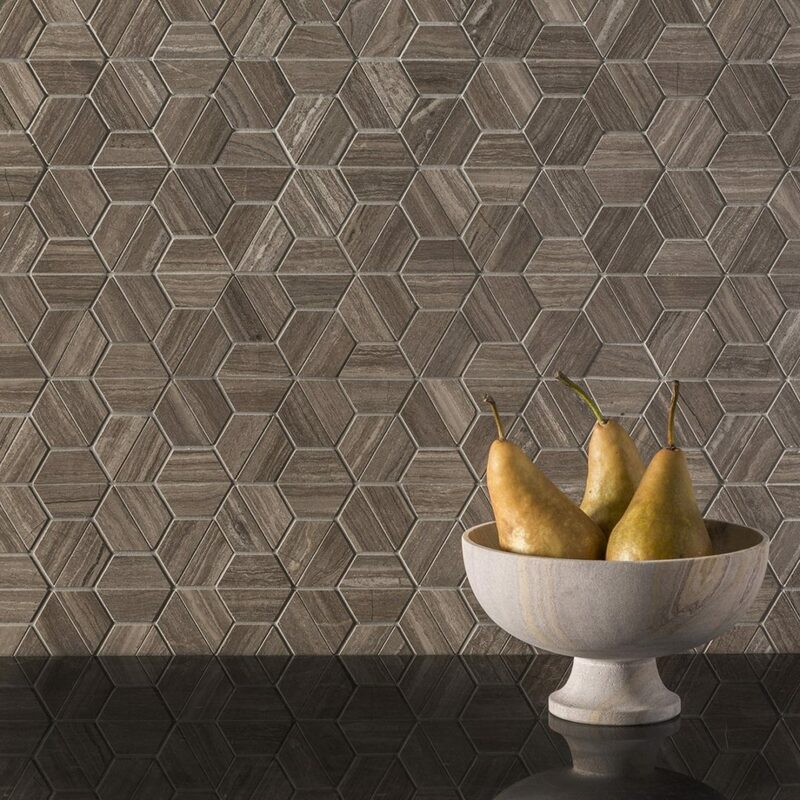 Many of our bestselling collections feature hexagons, and are beloved by more than just a few esteemed designers. 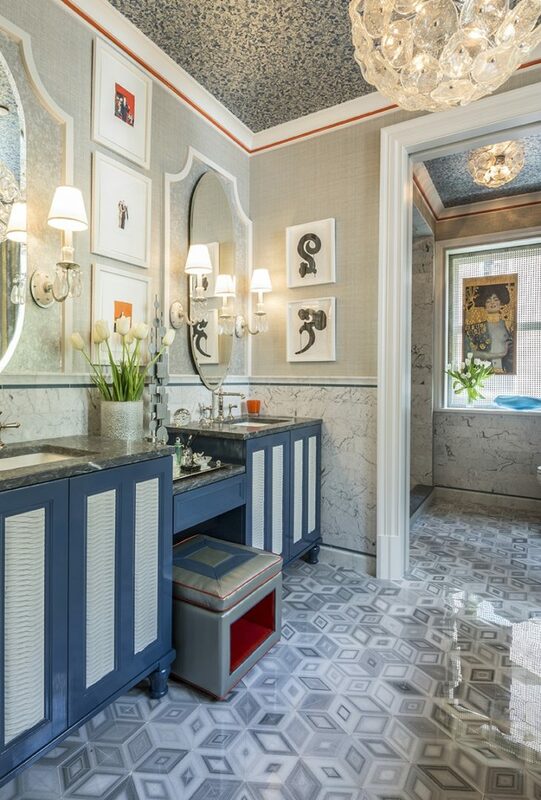 So, no matter where they’re used, hexagons are standout favorites and design chameleons. 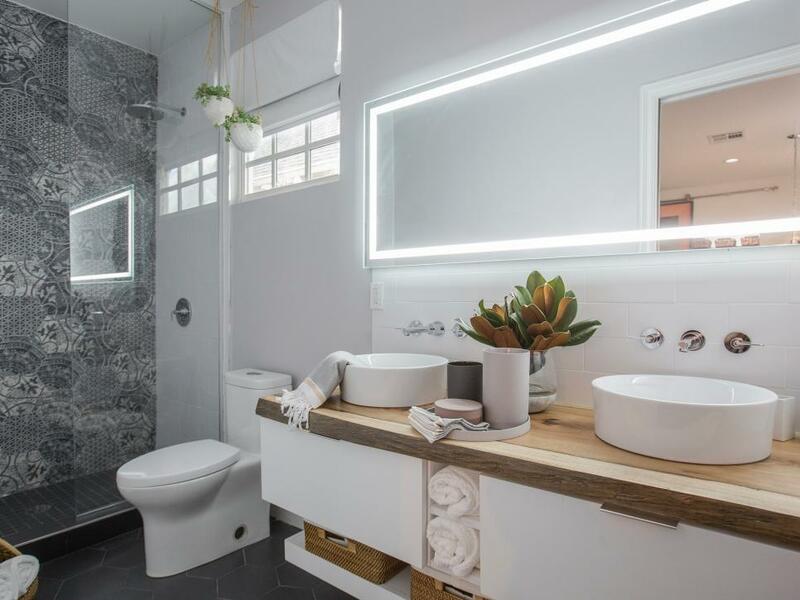 They are the choice shape to give spaces a clean look, while adding a soft touch of trendiness that’s both versatile and timeless. 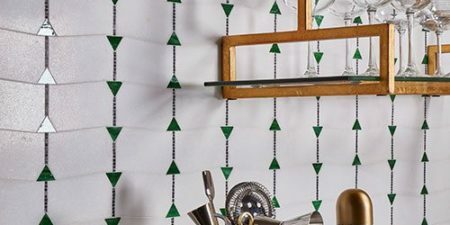 Whether being used to evoke elements in nature, create a feature wall, or bold, whole-room look, the hexagon trend is here to stay.